He was the most upstanding lieutenant in the department, until he made a critical error in judgment that almost ended his career. And she’s a mistake just waiting to happen. Fate has been cruel to Lieutenant Jake Scarlatta. His father died when he was ten, his best friend stabbed him in the back and his marriage went sour. 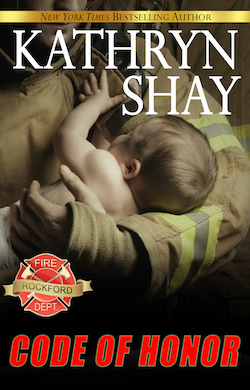 When he’s saddled with a female firefighter on his crew, he knows trouble is coming his way again. Chelsea Whitmore is a pariah in the RFD. A stellar firefighter and competitive weight lifter, she assumes none of that will matter this time around either. When Scarlatta says he’ll help her fit in, she doesn’t believe a word he says. She plans to keep her head down and her heart safe from more bruising. But when she’s accused of one rookie mistake after another on the line, that she knows she didn’t make, all hell breaks loose. If that isn’t bad enough Chelsea finds herself falling for Jake. And he feels the same. With cutting edge fire scenes, exploding passion at the station house, and emotions shooting off the charts, readers will gasp at the stunning conclusion to this suspenseful and scorching story. Cameo appearances from your favorite guys in Hidden Cove will delight reader.